I went to the same dentist for my entire life until I decided it was time for a change as I always felt that I could do a bit better although he was extremely good. Oh my goodness! I wish I had found Dr. Giacalone years ago. She is A #1! And her staff is just as great. Dr. Anna's exam was thorough...like over the top good...and the cleaning my teeth and gums received from Michelle was fantastic. Darlene & Elisebeth at the front office are terrific as well. You can't go wrong here! Make the change! Your teeth and health are worth it! Dr. Giacalone has given me a new smile! I've wanted to do this for so long but had so many bad experiences with dentists I hesitated for over a year. Now I wish I had done it sooner! The constant care and concern for my comfort was incredible. She and Debbie make a great team and I could not be happier with the outcome. I highly recommend Dr. Giacalone and everyone on in her office. 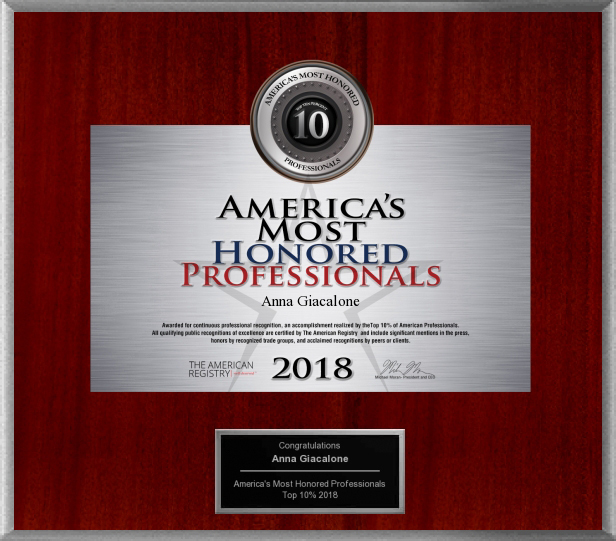 Friendly, caring, and professional. Very professional and caring. Dr . Giacolone, as well as every member of the staff, go the extra mile to make sure you understand procedures, are comfortable, and not in pain. Dr. Giacalone also strives to do the best she can so you have the best outcome. Beautiful smiles result!! Dr. Anna is the MOST professional Dentist and person I've met. Her exam was the most thorough dental exam I have ever had. Please go see her! Dr. Giacalone is a wonderful dentist and a kind and caring person. I have been to many dentists over the years, but since finding her over 20 years ago, my teeth have never looked or felt better. I recommend her highly. This Dentist and staff are simply the best! They are very mindful of your time and I've been using them for years with fantastic results. They are kind and considerate and take the time to explain your options. I've always laughed about people who fear the dentist, but here you won't have that issue. It's simply a pleasure to deal with such caring and professional people. If you live anywhere near them, you won't regret choosing them as your family dentist. Dr. Giacalone is a compassionate person. I trust her and always feel safe when I have any work done by her because she has such high standards. I have been going to her for 11 years now. Well, I am returning to Dr. G - after trying 2 other dentists in past 2 years - both of whom left much to be desired in the sterile technique area, one of whom is a "Best Of" dentist - I am going back to Dr. Giacalone. Both she and her staff are highly conscious of sterility and needful practices to insure my safety and comfort as far as sterile technique which is my main concern aside from good dentristry and trust of the dentist. One dentist I visited proceeded to put his fingers in HIS mouth to demonstrate something, then wanted to shake my hand! Astonishing - well not really. You will not be disappointed with Dr. Giacalone! 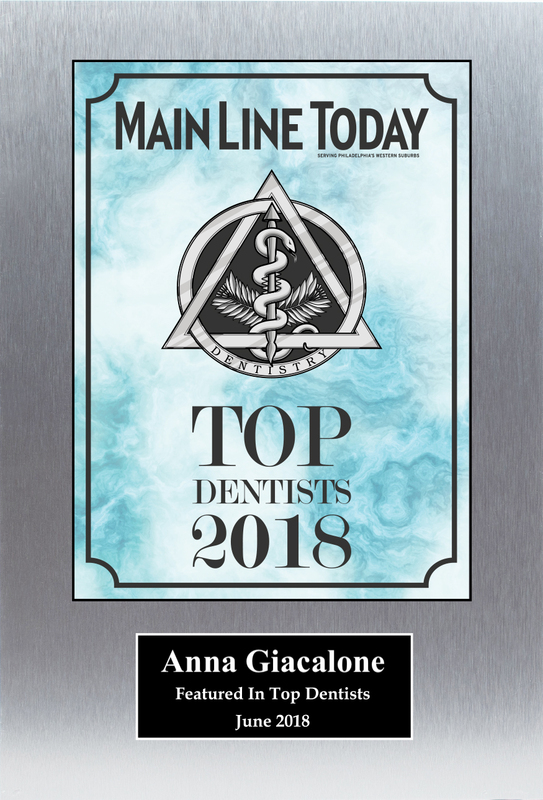 I trust Dr. Giacalone completely and have been going to her for my dental care since I moved into the area almost twenty years ago. Gosh, we are getting older (20 yrs!) and better, and my smile has never looked better or my teeth healthier smile emoticon.